List of Aikido Techniques. Find new info, improve your skills, test your knowledge. 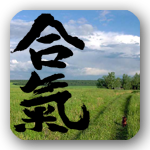 Aikido Test is an application for anyone who wants to learn Aikido. The program will be with you on the way of Aikido from the initial degree of 5kyu to your 1st dan. We offer both the mobile version for Android and the Windows version for desktop computers. The program contains a catalog of 174 Aikido techniques, most of them with video instructions. You get the first 12 Aikido techniques in the free version. All videos are available in the full paid version. To view the video Internet connection is not required. Want to know your current level? The program will test your knowledge of aikido techniques in "Aikido Test" section. There are 2 types of testing available. The program does not replace a good instructor or your persistent training. However, it will help you remember the names of techniques or implementation schemes, test your knowledge and follow you on the way to mastering Aikido.